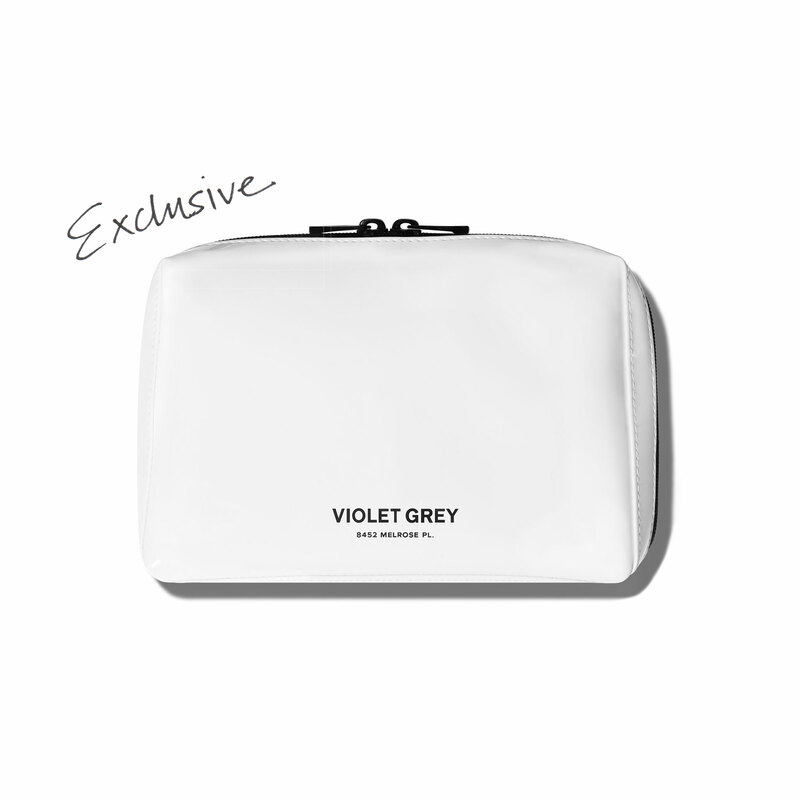 This limited-edition makeup bag is the only acceptable place to house Violet Code-approved beauty, skin care and hair care essentials at home or when traveling. Fully lined and water resistant. Made in the U.S.A and exclusive to VIOLET GREY. count towards $200 minimum. For further information, please contact Client Service at (855) 976-1756.